Bored of education... didn't you spell that wrong. Hey wait I get it now! 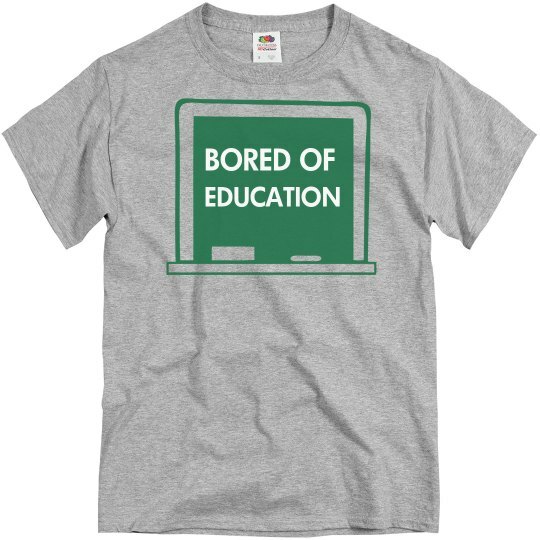 Aren't we all bored of education?